If Aztek Fencing were to point to our claim to fame, it would probably be our specialty fences. Over the years, we’ve created a reputation for our unique and unparalleled entry way designs for properties all over the west. Let’s just say, there’s a reason that movies prominently feature the gate to a property when the main character arrives, it’s because the gate has a way of letting people know what’s beyond the iron or towering wood sentinels guarding the entrance to the property. It’s one of the most creative ways to imbue your property with it’s own personality. It’s like the wrapping on a pretty gift, it’s just enough to get you excited for what’s beyond and it’s the grand entrance your guests deserve. Put your mark on your entryway and gate when you construct a beautifully coordinated gateway and specialty fencing project with Aztek Fencing. Like the idea of a specialty fence project but unsure where to start? Begin with the character of your home. Do you have beautiful colonial style architecture decorating the points and coves of your home? Tie it all together with beautiful red brick fencing and simplistic metal gates that lend to a picture of refinement as well as something tantalizingly new just out of reach. Enchanted by the mediterranean style that you saw in Italy last year? Design a white stoned entryway with Victorian elements and curling elaborate wrought iron gates. Do you find the classical ranch style gates with their bare, yet steady, wood fixtures to be enthralling in their own right? Let’s affix your initials onto the towering wooden gates and open them up to let the land unfold before you, full of possibilities and safe, like your home should be. Because our gates are so unique, the only limit is what you can imagine. From secluded cottage to towering castle, whatever is behind your fencing and gate, the only idea they’ll have is what they can see from the outside of it, so let’s create something that’ll heighten their expectations for what’s lying just beyond. Beyond the stylization of the fencing there’s a host of utilitarian affects that we can apply to your new specialty fencing entryway. If you’re interested in ensuring that the mail man can still reach your mailbox without having to be let through the gates then we can equip your gates with a fresh mailbox to match the rest of your established exterior aesthetic. We can also install automatic gates, a security system and more. If you’re in need of specialty fencing, reach out to us. We’re ready to schedule your consultation appointment. 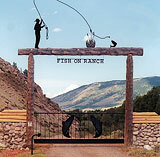 Aztek Fencing has an established reputation for unique custom crafted gates and entries. Let Aztek Fencing build your dream entryway. Contact us for details. We build all your gates and railings to your exact specifications, ensuring quality of construction, installation and finish of your project from start to finish.